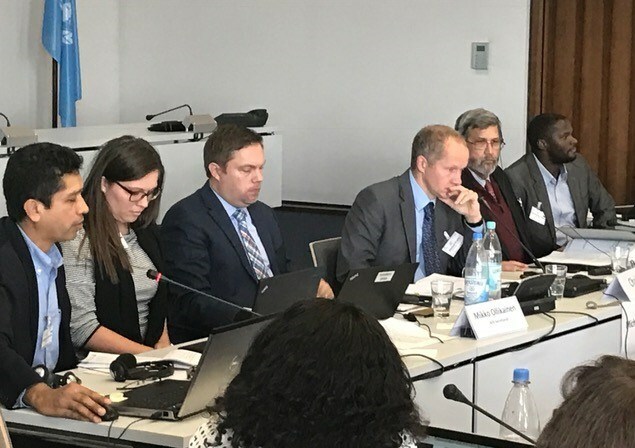 Bonn, Germany (October 13, 2017) — The 30th Adaptation Fund Board meeting produced several significant decisions, including approving a new five-year medium-term strategy that emphasizes the Fund’s pillars of Action, Innovation and Learning. 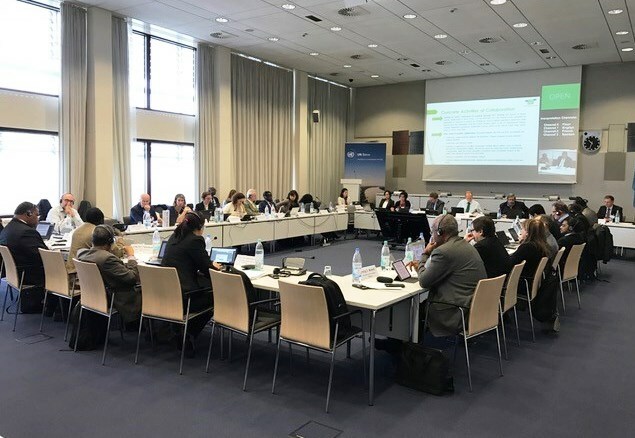 The Board also approved a decision to explore concrete steps to enhance complementarity with the Green Climate Fund (GCF), including possible fund-to-fund arrangements and accreditation. The Adaptation Fund will attend an annual dialogue next month initiated by the GCF to help further the discussion. The Board further approved US$ 23.8 million in funding for new projects and programmes, and accredited the Fund’s 26th national implementing entity (NIE) under its pioneering Direct Access modality for climate finance. In addition, the Board elected a new Chair — current Vice Chair Victor Viñas, a Dominican Republic national who represents Latin America and the Caribbean on the Board. Viñas will assume the Chair seat at the next Board meeting March 20-23, 2018 after current Chair Michael Kracht, of Germany, completes his one-year term. The Fund’s comprehensive activities to highlight the 10th anniversary this year of the launch of its operations, which include a special publication and event in Bonn on November 16, and its planned goals and programmes scheduled for COP 23 in Bonn November 6-17 were also detailed. The newly approved Medium Term Strategy represents an important and decisive action by the Board that will influence its work over the next five years. It outlines and fosters the mission of the Fund to support vulnerable developing countries in adaptation, based on three strategic pillars: action, innovation and learning. To carry out this mission, the strategy calls for the Fund to accelerate and enhance the quality of adaptation action in developing countries and support country-driven projects, innovation, and multi-level learning and sharing for effective adaptation. While the Fund has supported innovation and knowledge management alongside its concrete adaptation projects throughout its 10-year history of operations, the new strategy foresees targeted funding for activities in these areas. At the same time, all Fund activities are designed to engage, empower and benefit the most vulnerable communities, advance gender equality, strengthen long-term adaptation capacities and build complementarity between funds. Although this year’s resource mobilization goal was already established at US$ 80 million, the new strategy sets a more ambitious goal of US$ 100 million per year during the strategy’s 2018-2022 time period. This more accurately reflects the current level of project funding, although may have to be adjusted periodically to maintain pace with potentially even higher levels of allocations from the Fund. The great majority of Fund resources will continue to be reserved for concrete adaptation projects. Meanwhile, the Board approvals of full project proposals included a US$ 4.9 million agricultural and water management project proposed by the NIE, Desert Research Foundation of Namibia; a US$ 9.9 million climate-smart agricultural project in eastern Guinea-Bissau proposed by the West African Development Bank (a regional implementing entity of the Fund); a US$ 4.2 million project brought forward by UN-Habitat (a multilateral implementing entity of the Fund) to increase resilience of communities in Fiji that are highly vulnerable to climate change and disaster risks; and a US$ 4.3 million project proposed by UN-Habitat to enhance urban resilience to climate change and natural disasters in the Solomon Islands. Small island developing states (SIDS) are particularly vulnerable to the adverse effects of climate change. This year’s upcoming UN Climate Conference in Germany, with the government of Fiji as the Presidency of COP 23, features a special focus on SIDS. Seven concepts were endorsed including five single-country concepts and two regional concepts under the Fund’s innovative Window for Regional Projects and Programmes that helps address climate change issues that cross borders. The Board also endorsed five regional pre-concepts, and approved seven project formulation grants totaling US$ 227,000 that will help implementing entities further develop these concepts. Furthermore, the Board’s accreditation of the National Environment Management Council of Tanzania as the Fund’s 26th NIE will open doors for Tanzania to develop concrete adaptation proposals and access grant funding directly from the Fund, while helping Tanzania make progress in adapting and building resilience to climate change. The Board meeting also featured a dialogue with civil society organizations, including the Adaptation Fund NGO Network and World Resources Institute. Discussions emphasized that the Fund serves a valuable, essential niche in the international climate finance landscape by producing concrete results, building national capacities to adapt to climate change and producing valuable experiences and lessons. The example of its first water management project in Honduras implemented by UNDP was provided, and how it produced concrete, efficient results while being flexible to the country’s emerging adaptation needs and fostering institutional empowerment, local collaboration and adaptation ‘mainstreaming’ into national policies. The Board further noted its appreciation for the service of its longest-serving member Hans Olav Ibrekk, of Norway who represents Western Europe on the Board. Ibrekk has served for 10 years on the Board (including two as Chair) through the Fund’s formative years and as Chair during the important COP 21 conference in Paris in 2015 that resulted in about US$ 75 million in new pledges and the Fund being included in the accompanying decisions of the landmark Paris Agreement. Ibrekk expressed his gratitude for the high-quality working relationship between Board members, as well as the Secretariat and stakeholders to further the Fund’s interests in “a spirit of cooperation” that has established a Fund that delivers concrete results. “On behalf of the Board, your good humor, experiences over 10 years and dedication, energy and enthusiasm have been highly appreciated and helped advance the Fund’s work,” said Kracht. Since 2010, the Adaptation Fund has committed US$ 462 million to support 73 countries, with more than 5.4 million direct beneficiaries.